Lismore, St Moluag's Cathedral. 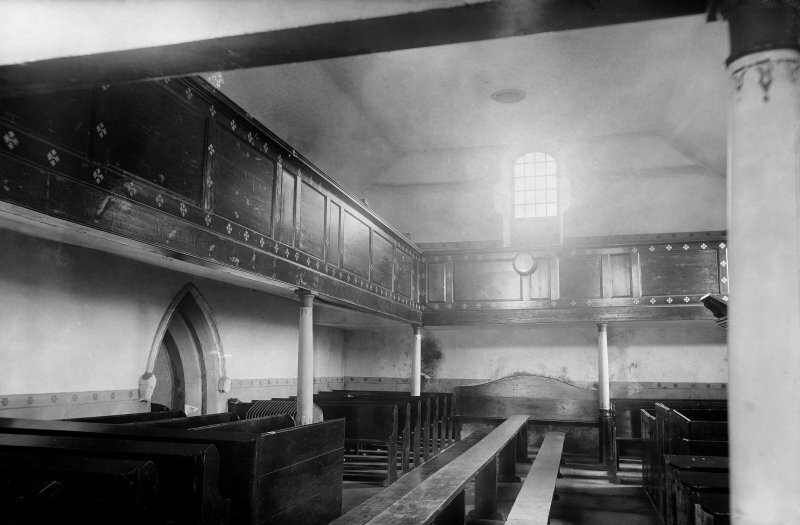 Interior view from west. Lismore, St Moluag's Cathedral. General view from South-East. Lismore, St Moluag's Cathedral. 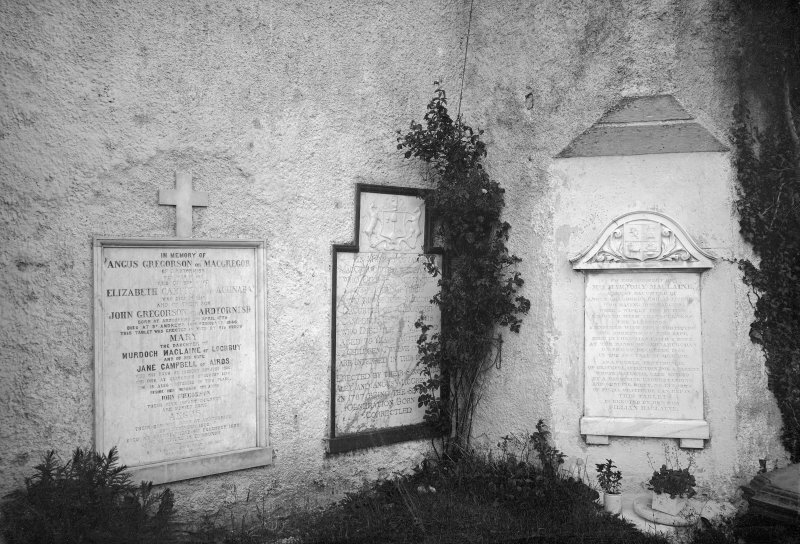 View of gravestones. Lismore Church, exterior. Cathedral of St Moluag and Parish Church. View from South West. Lismore, Cathedral. 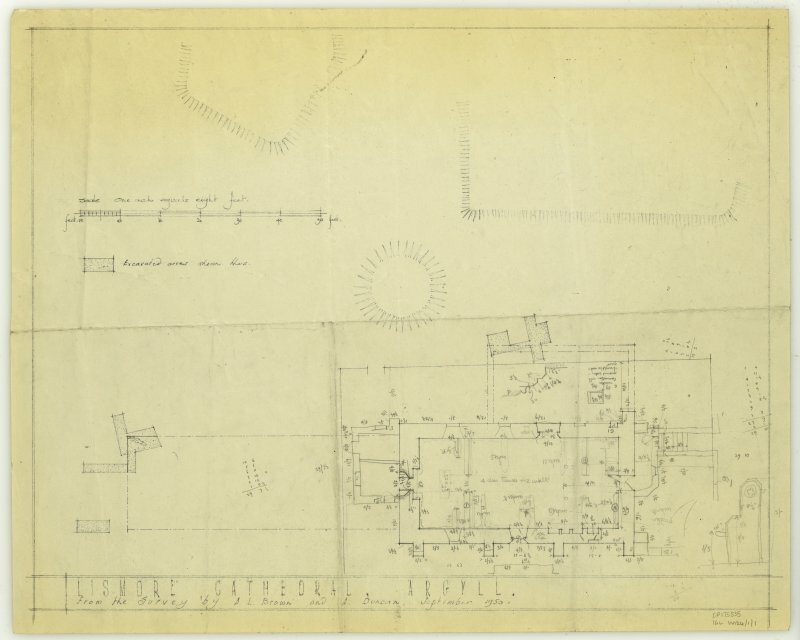 Survey drawing of general plan. 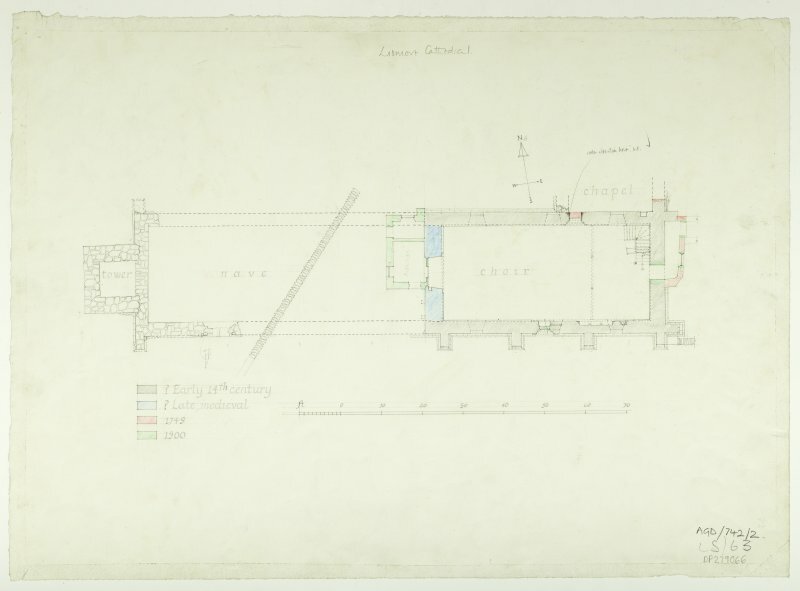 Plan of Lismore Cathederal, Argyll with excavated areas marked. Lismore, St Moluag's Cathedral. 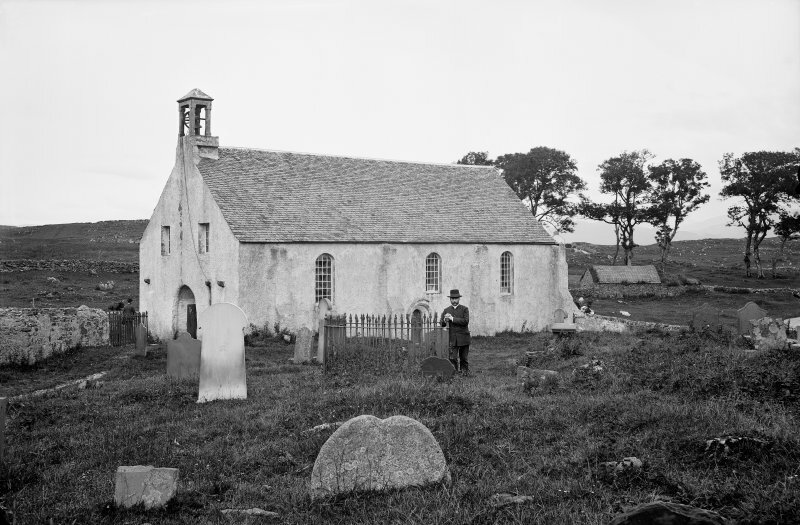 General view from North-East with man standing in graveyard. 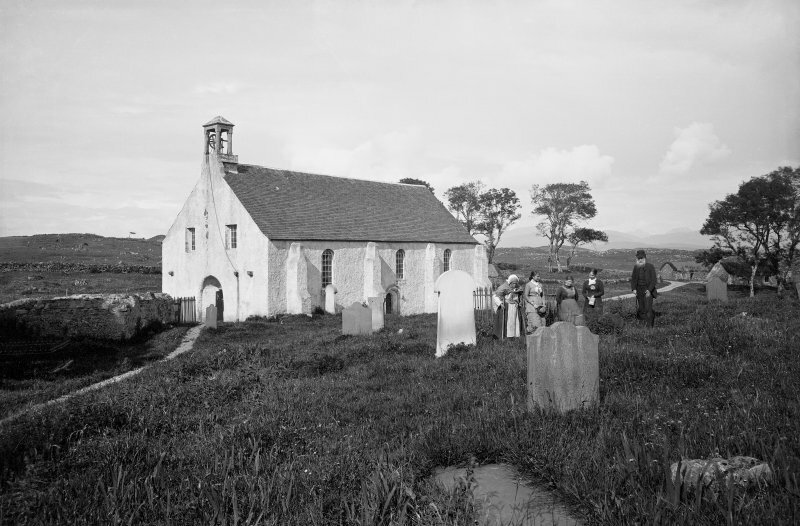 View of St Moluag's Cathedral, Lismore, from South West with four women and a man in the graveyard. Lismore, Cathedral. 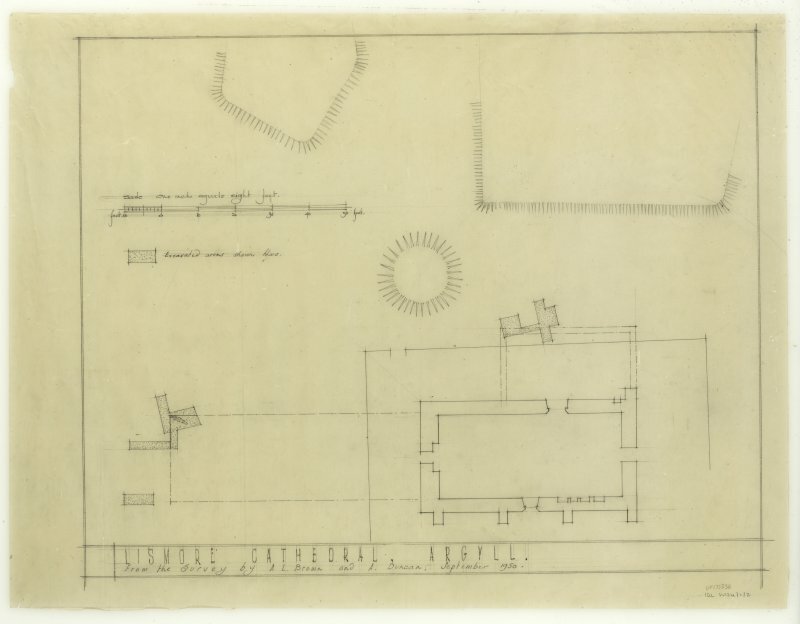 Plan showing mason's marks. 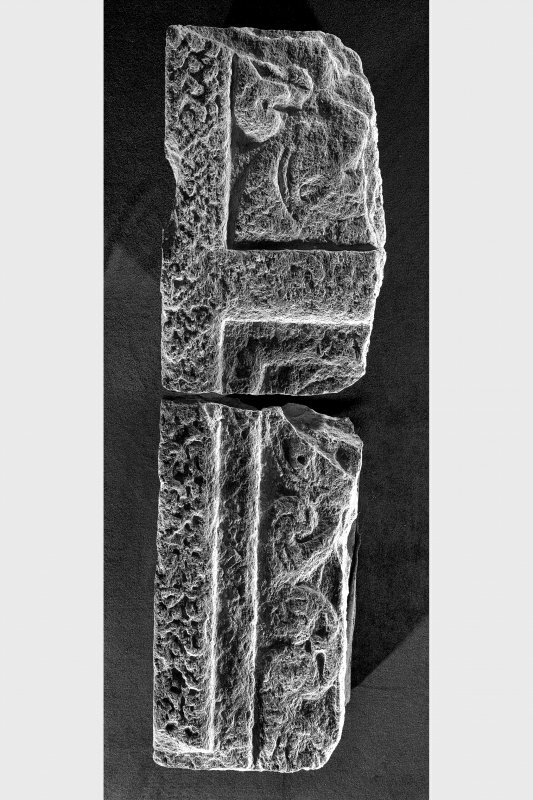 Fragment of cross-slab, St Moluags Cathedral, Lismore. Lismore, St Moluag's Cathedral, interior. View of sedilia. 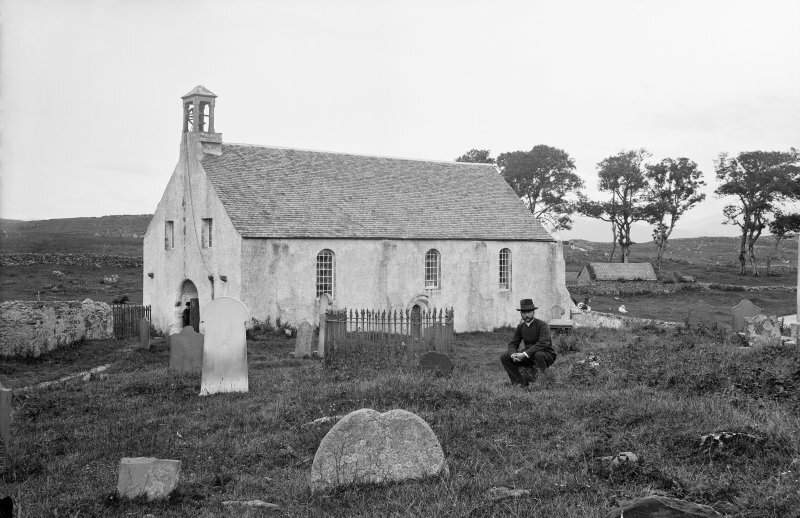 General view from North-East with man standing in graveyard. Lismore, St Moluag's Cathedral, interior view from west. Cathedral of St Moluag, Lismore. Detail of parallel-sided slab fragments. Cathedral of St Moluag, Lismore. 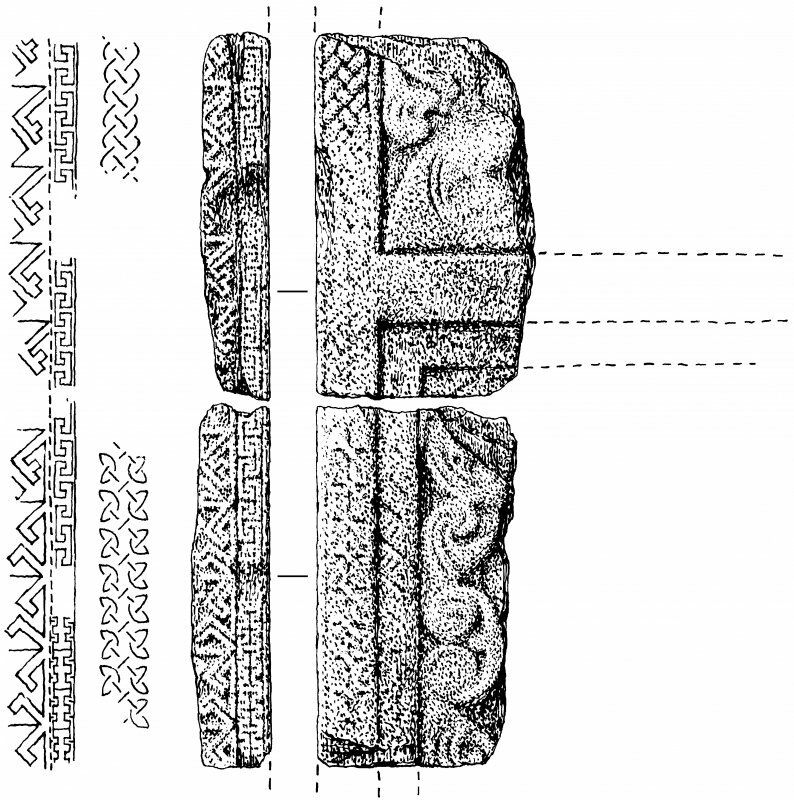 Fragment of parallel sided slab. Fragmented cross-slab, St Moluags Cathedral, Lismore. For sanctuary marker at NM 8609 4342, see NM84SE 17. For cross, see NM84SE 5.01. 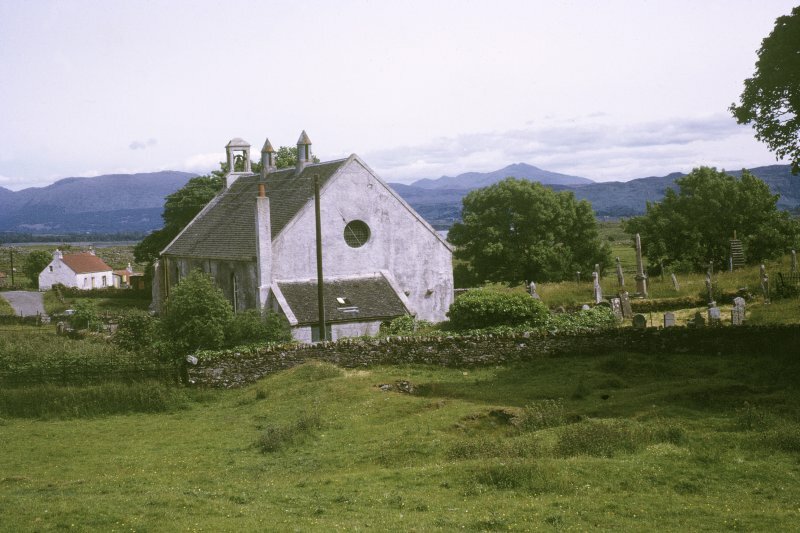 This was the cathedral church of the medieval diocese of Argyll, frequently known as Kilmaluag. 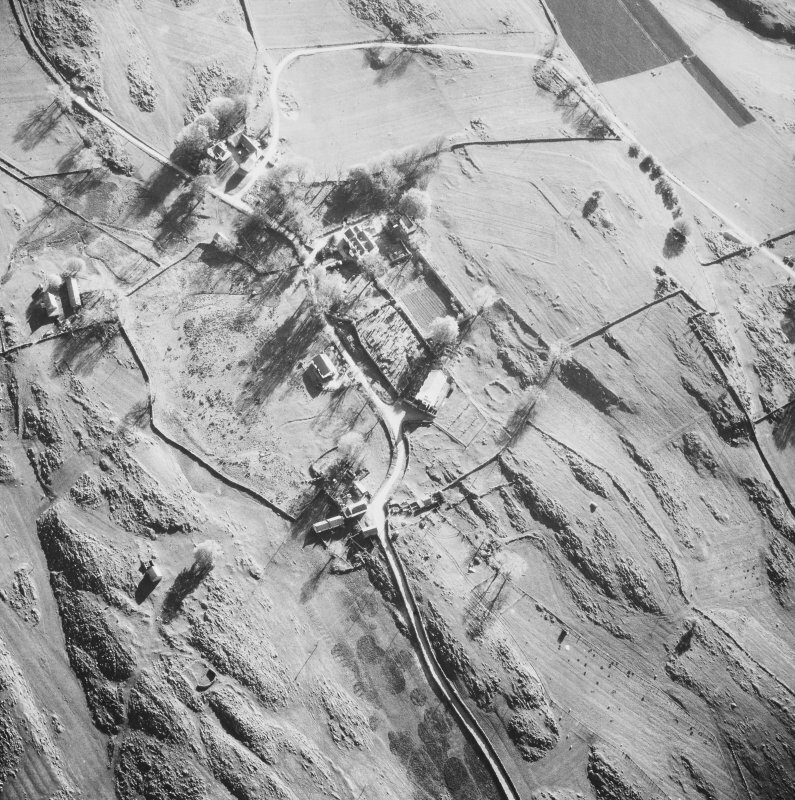 The remains consist of an aisle-less choir, now serving as a parish church, the site of a NE chapel or sacristy, and the excavated foundations of an aisle-less nave and added west tower. 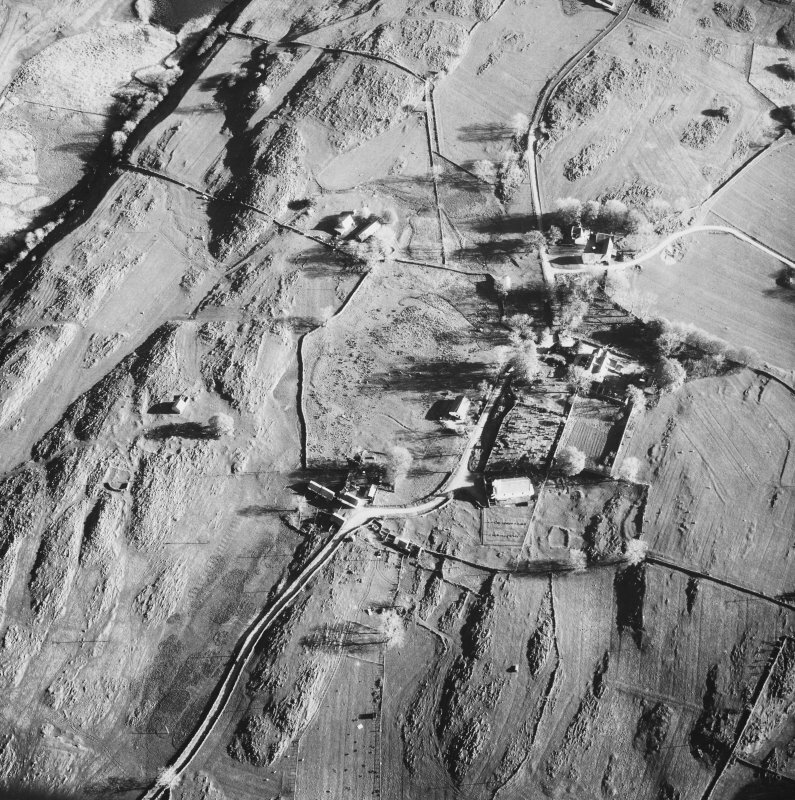 Although St Moluag founded a religious community on Lismore during the 6th century, there are no remains which can with certainty be ascribed to the early Christian period, and it is likely that the cathedral occupied the site of an earlier church dedicated to St Moluag, an Irish saint (St Lugaidh). 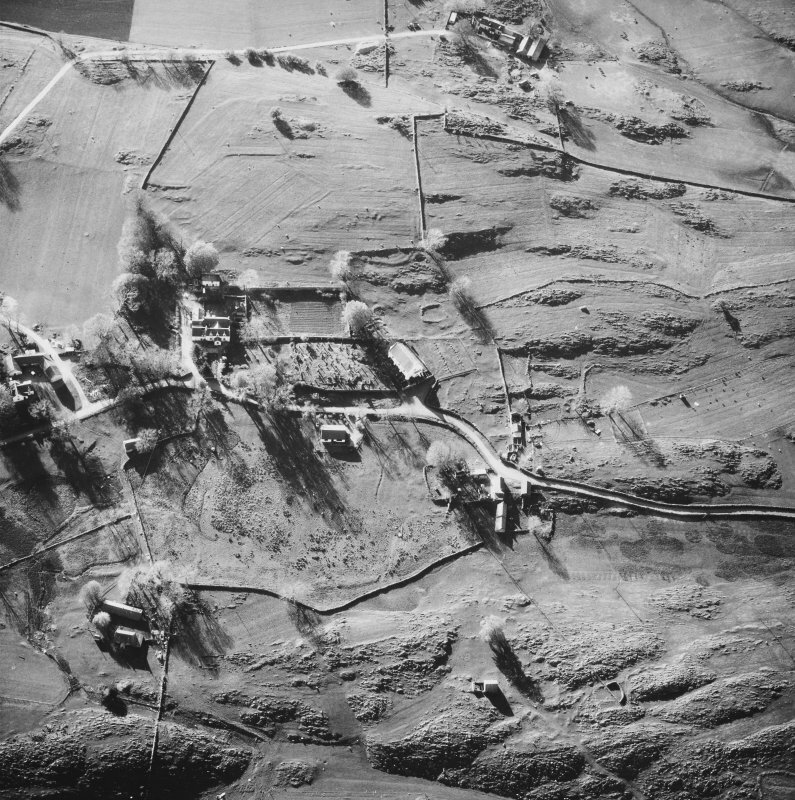 However, it is interesting to note that the field boundaries to the north, east and south from a rough circle, of about 240 metres in diameter which may indicate the original line of a vallum similar to those which enclosed certain early monastic sites. The combined dimensions of the medieval nave and choir were about 38 metres by 7.2 metres within walls which, on average, were about 1 metre thick. The south wall of the choir is divided into three bays by projecting buttresses, each bay containing a round-headed window of 18th century date, while in the cental bay, there is an original round-headed doorway which continued in use until 1900 when restoration work was carried out. The NE and SE angles are also buttressed. The west wall of the choir contains a large, semi-circular headed doorway which served as the main entrance until the restoration work of 1900 during which the belfry which surmounted the west wall was moved to the east gable. At the same time, the two rectangular windows above the doorway in the west wall were replaced by a central, circular window and a new main doorway was formed in the east wall, the outer walls of an old forestair being incorporated into a porch. 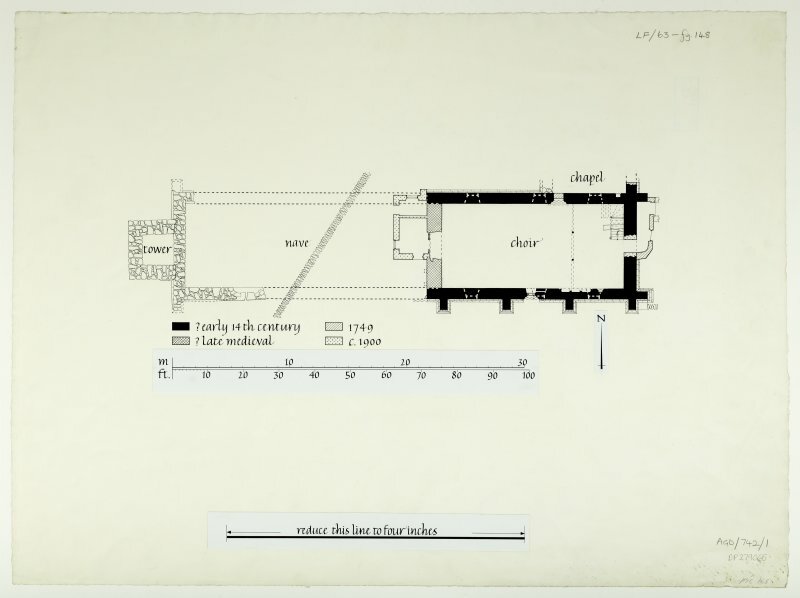 Excavations in 1970 confirmed the belief that a chapel had existed in the NE of the original building. Only the western portion of the nave has been excavated, but it had a total length of 20.7 metres and a width identical with that of the choir. 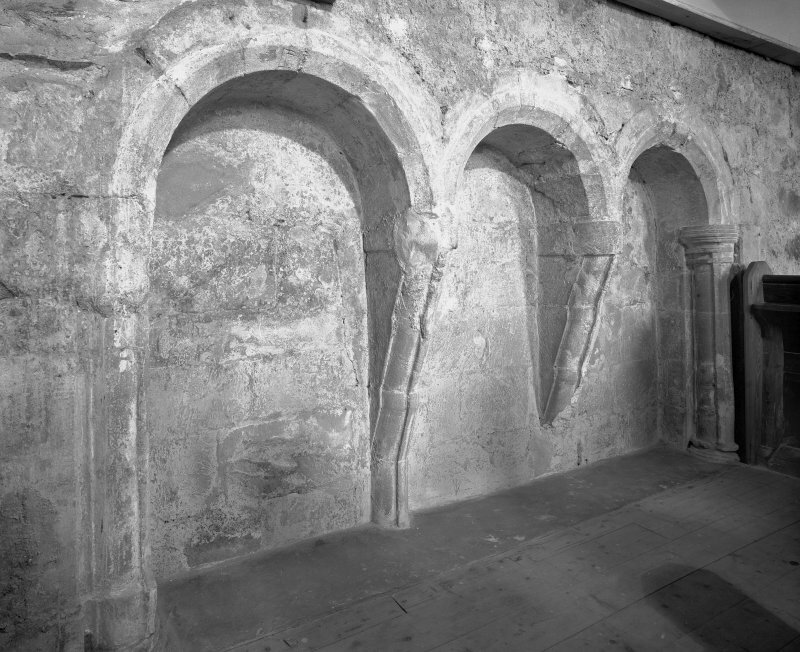 There is evidence of buttressing at the north and south corners of the west wall where it joined the nave portion of the building, and the position of a south door to the nave has been identified. The small tower which adjoined the west wall of the nave is of later construction, probably late medieval. Many medieval carved stone slabs are to be seen in the churchyard. 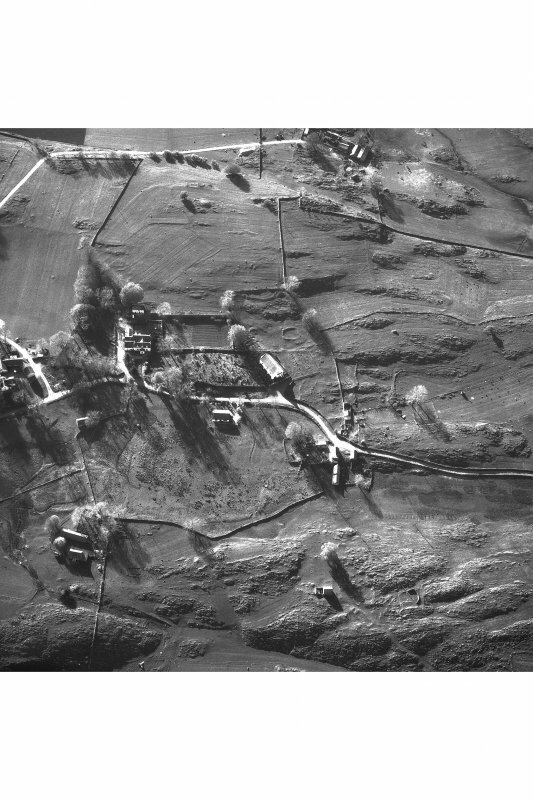 RCAHMS 1975, visited June 1970. A Brown and A A M Duncan 1915-61. As described. 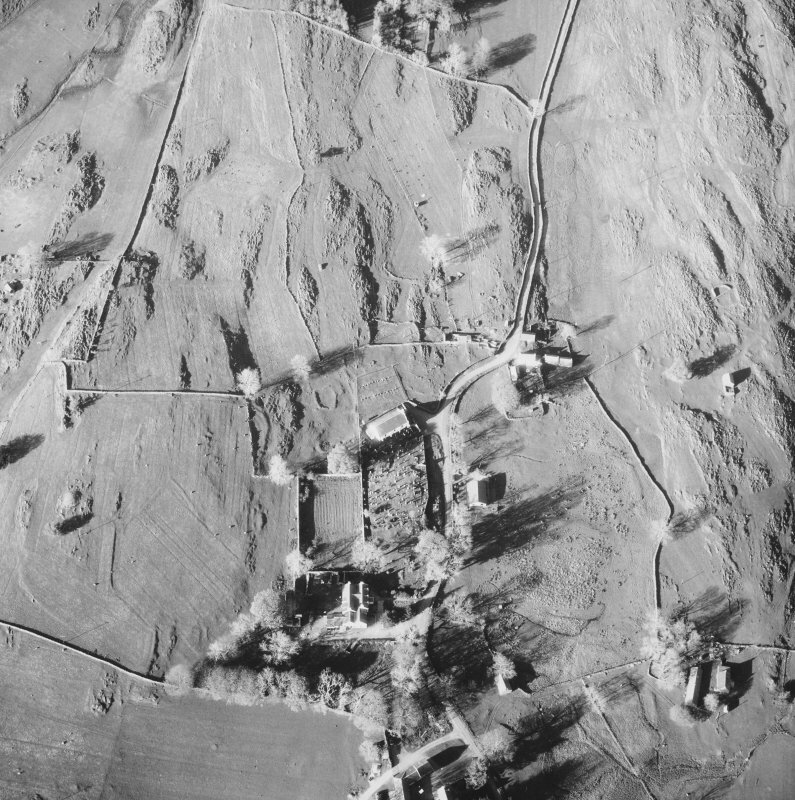 The outline of the cathedral, as located by excavation, is still visible. Visited by OS (DWR) 9 November 1971. 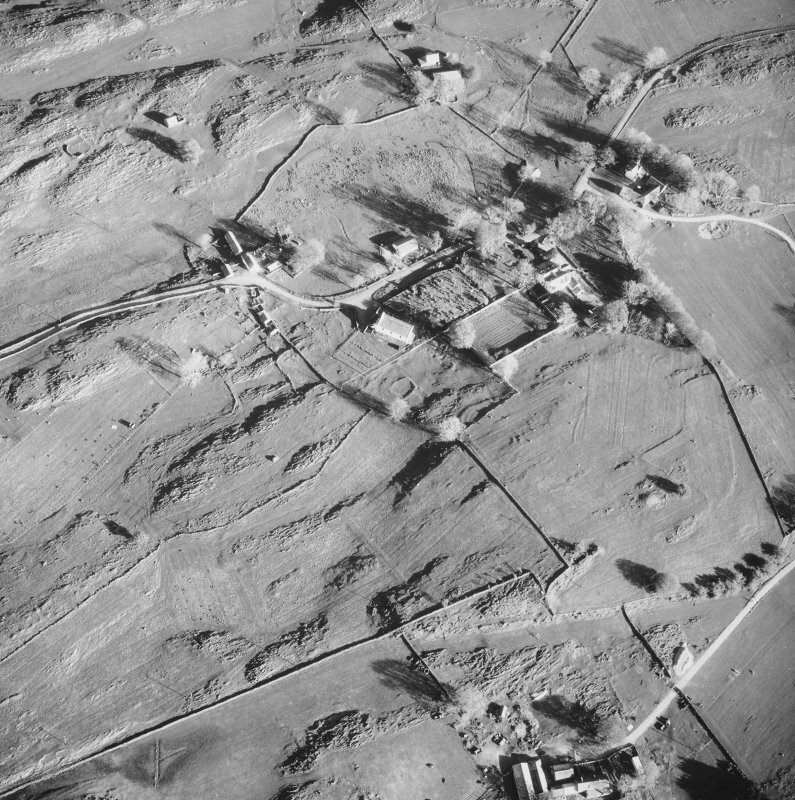 Archaeological assessment was commissioned in advance of a proposed extension to an existing cemetery and was conducted by AOC (Scotland) Ltd between 7 and 12 March 1994. 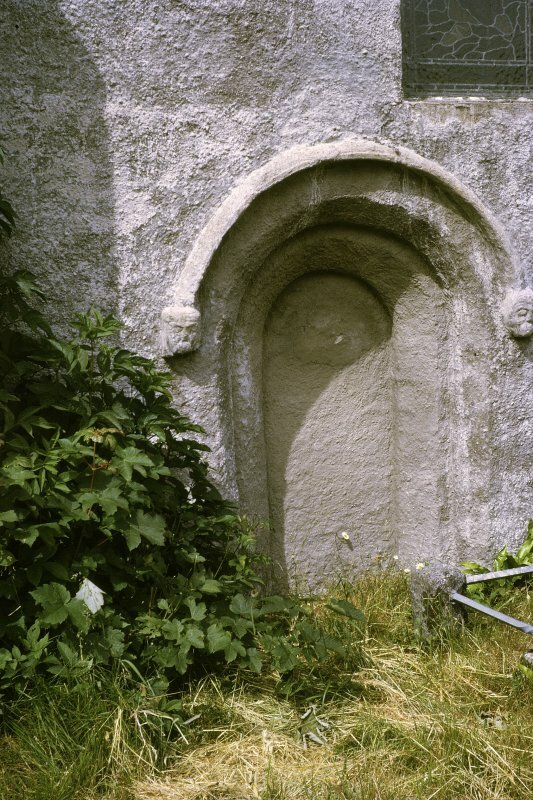 The death of Lugaid or Moluoc/Moluagh, the traditional founder of Lismore and a contemporary of Columba's, is recorded in the Irish Annals for c 592. 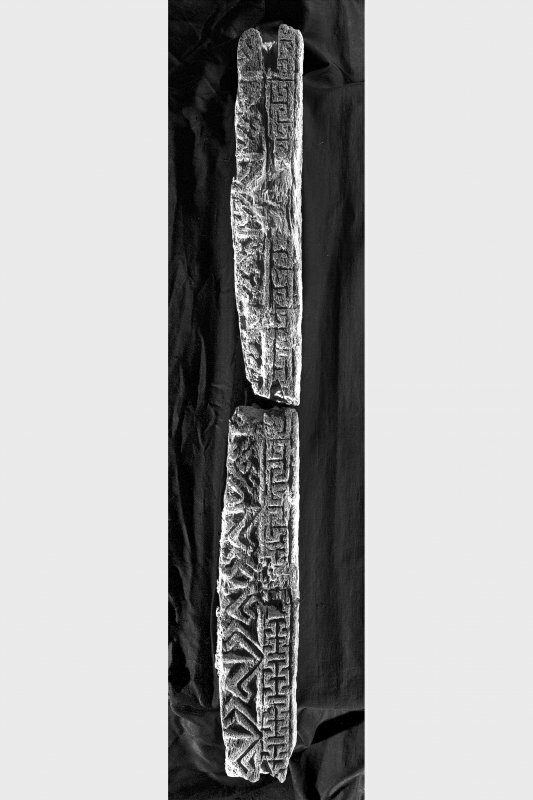 To date, no material remains of this very early period in the site's history have been recovered or recognised. Lismore was included in the Dioceses of Dunkeld until separated in the late 12th century when the Dioceses of Argyll was created by Innocent III and Lismore was chosen as the episcopal seat and the bishops of Argyll, who were generally styled Episcopi Lismorenses. By the 17th century the Cathedral church was ruinous. 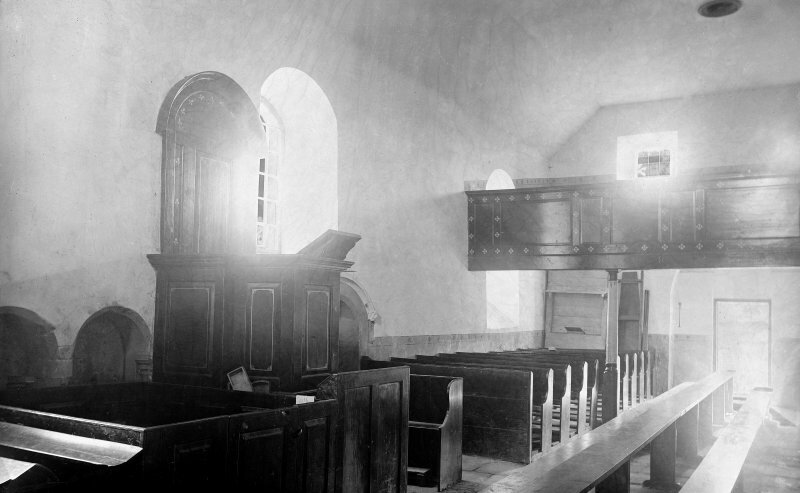 In 1749, the choir was adapted to supply the present parish church. The site of these successive medieval and Early Modern buildings may well perpetuate the site of the principal church of the earlier monastic community founded by St Moluagh. 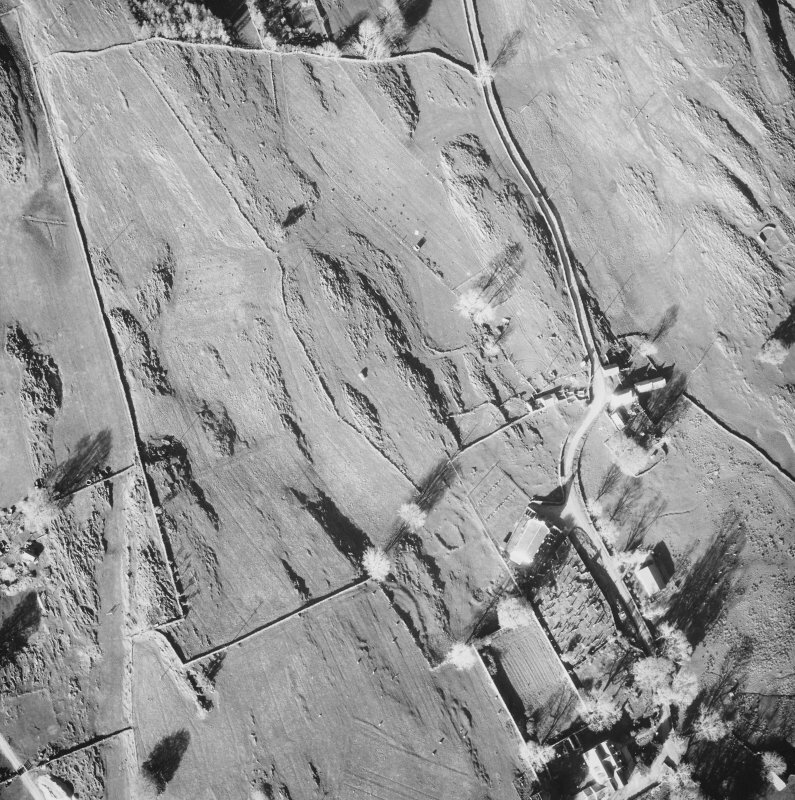 Trench A: A series of rubble layers interpretadvely associated with landscaping and demolition on the site in various periods. These are not closely dated. 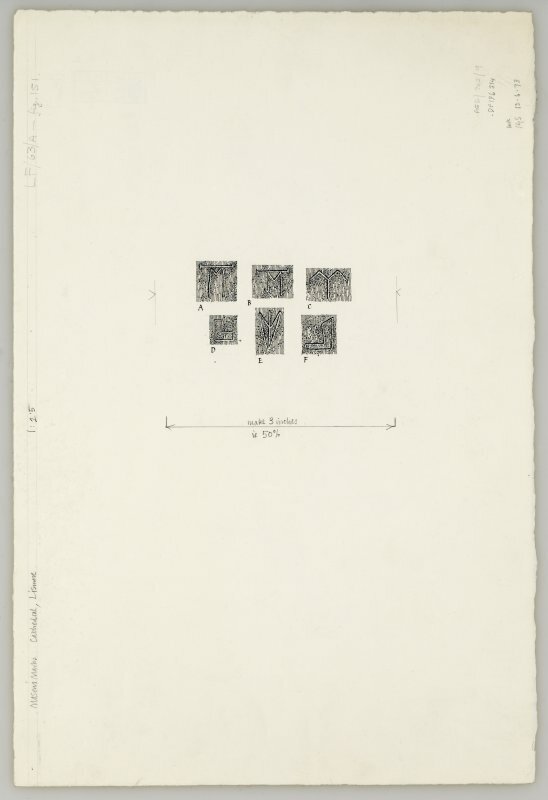 Trench B: A series of oblong cuts, probably modern machine cuts. A spread of mortar debris, again probably modern or Early Modern. 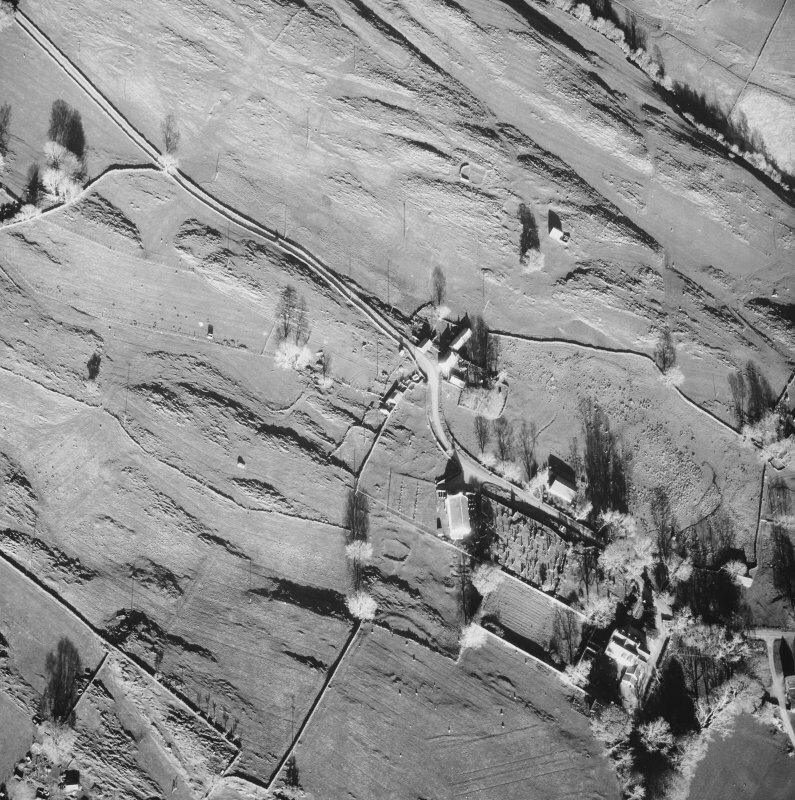 A shallow ditch, near the N end, possibly an early drainage feature. 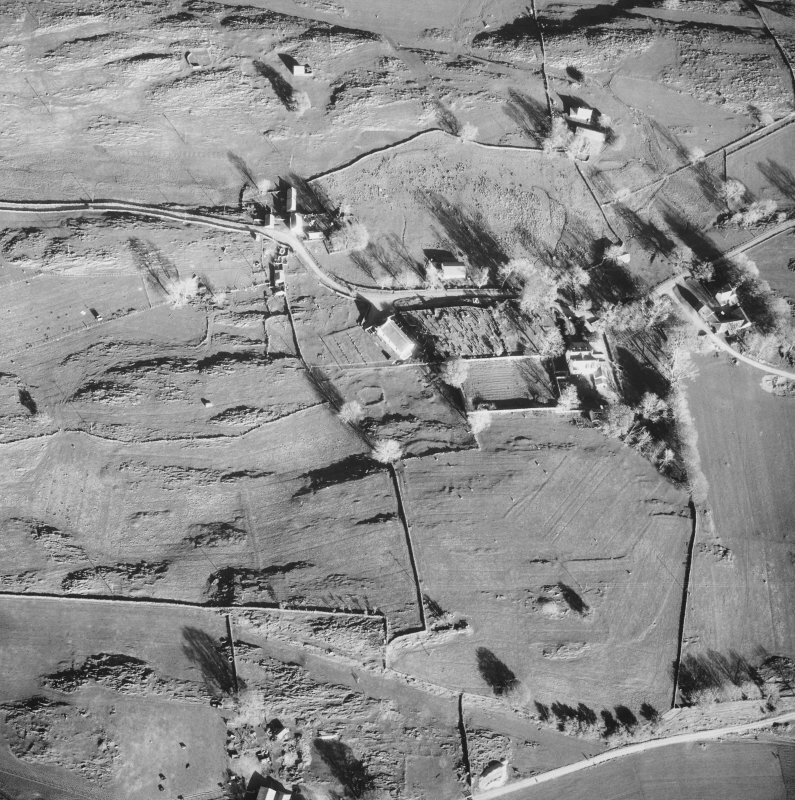 Trench C: A group of features at the E end, probably representing post-medieval or Early Modern habitation, which included a stone (floor?) spread, midden material and a large post-pit. Trench D: A single adult inhumation, near the S end, possibly disturbed or re-interred, and probably relatively late in date. 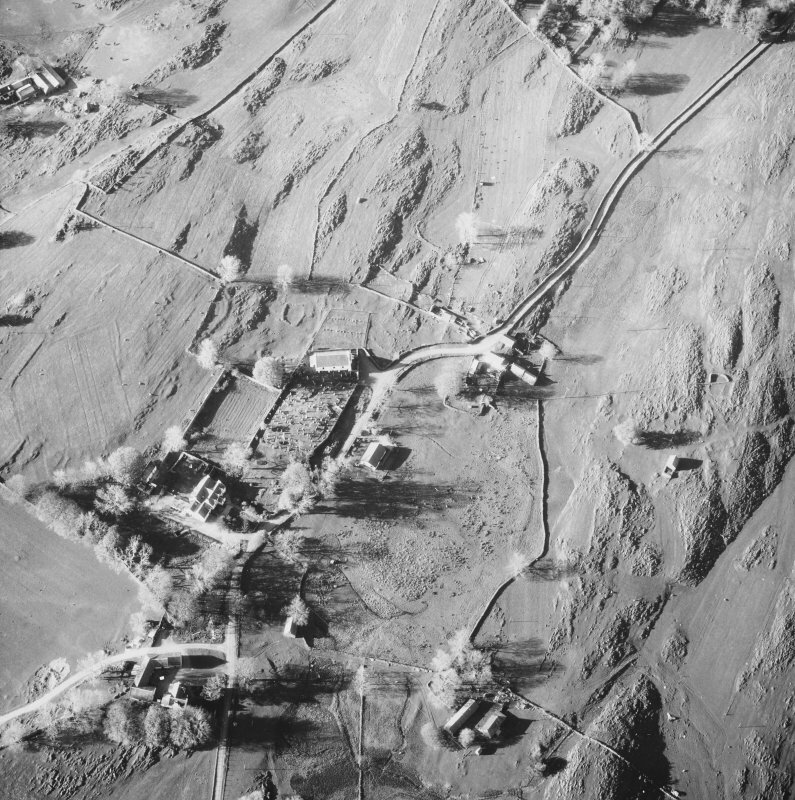 Two small pits with charcoal-rich fills. 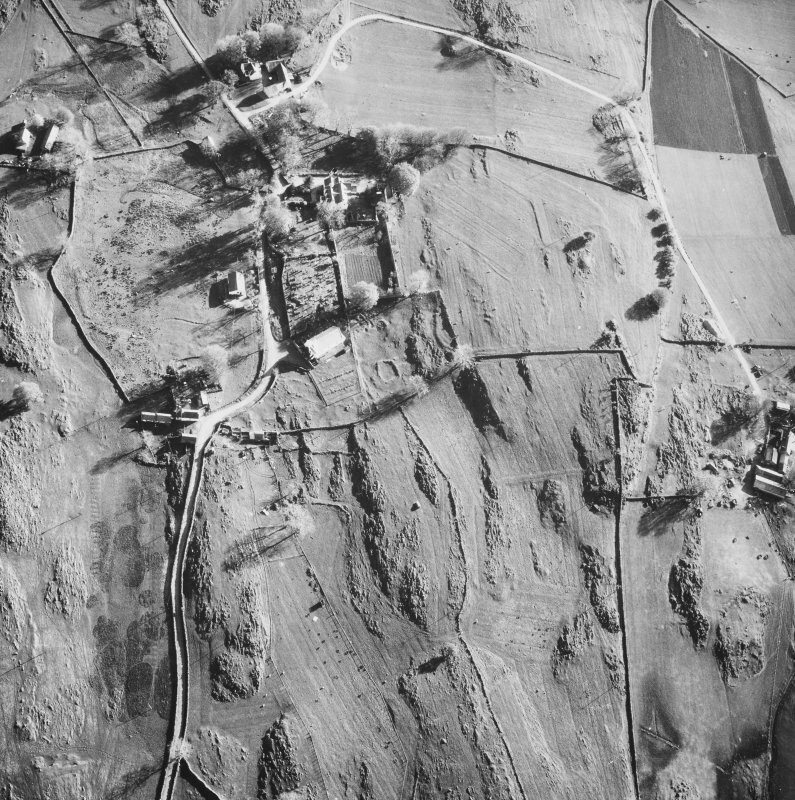 Trench E: Modern topsoil and rubble dumps. Sponsor: Argyll & Bute District Council. 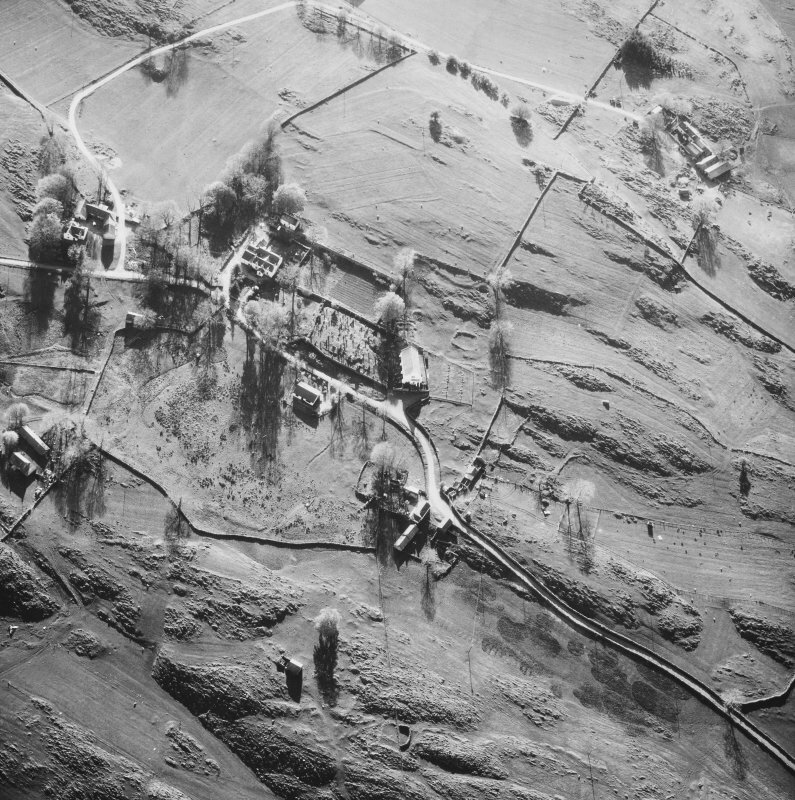 Acting curator of the site, Strathclyde District Council. Masons' marks were recorded by R A Fresson and W A Bartlam, September 2000. These were noted in the interior 'between head and chest height' on the voussoirs of N wall door arch and on the S wall doorway arch and jambs. Letter from Archibald Campbell to Colin Campbell of Glenure. He is asked to attend a meeting of the heritors to discuss the project. 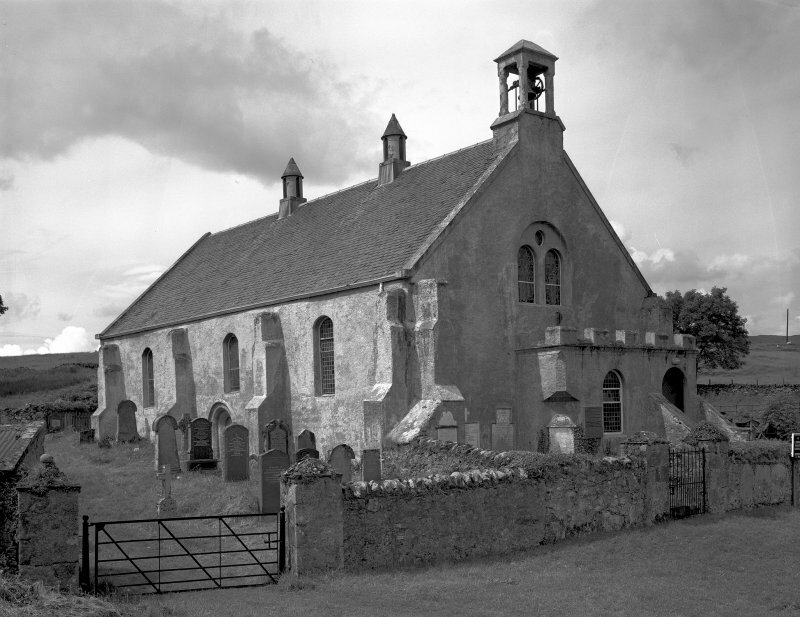 Erected 1749 to serve the adjacent portion of the united parish of Lismore and Appin. 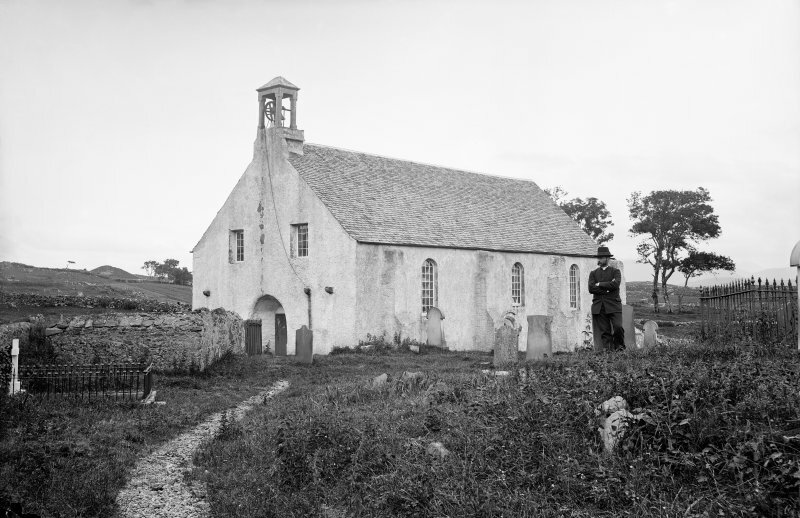 Duncan Campbell of Barcaldine is asked by the heritors to obtain estimates for the repair of the church which is in a ruinous condition. Ross sketch books MS 28/463/13/8. NM 86066 43501 Portions of the stone-built walls of the nave of Argyll’s medieval cathedral on Lismore were exposed in a recent community excavation, 12–19 August 2016, funded by the HLF and with a contribution from Argyll and Bute Council. The cathedral may have been built in the late 12th, 13th or even 14th century and served the newly created diocese of Argyll. 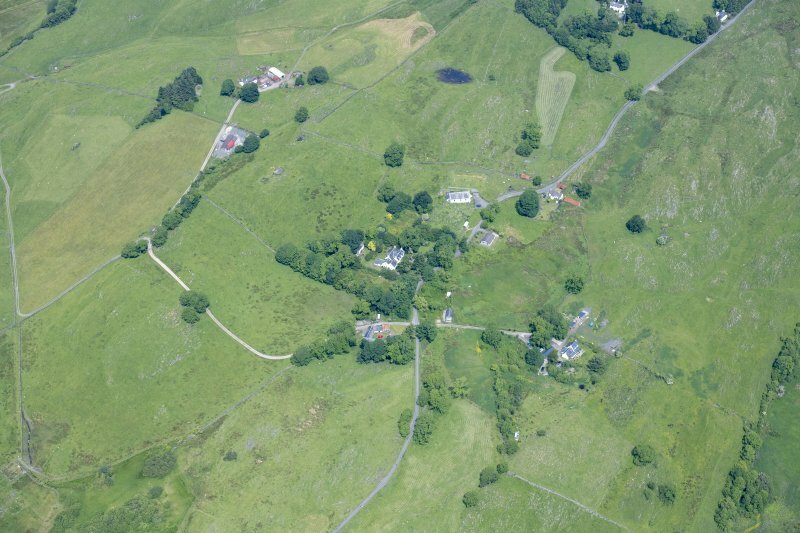 Lismore was probably chosen because of its connection with St Moluag, who was a contemporary of St Columba and some argue a more influential missionary than St Columba, as well as its central geographic location and ease of access by sea. The surviving walls of the nave are substantial, >1m high and of white dressed sandstone, probably imported from Morven, form a drip course near the base. Fragments of white sandstone that would have lined a window have also been discovered within the old graveyard. The stone walls of the nave were bonded using a shell-rich mortar, and samples of charcoal from the mortar will provide a series of radiocarbon dates, finally revealing when the nave was built. Previous excavators in the 1950s discovered a small building built into the W end of the nave and interpreted this as a tower. 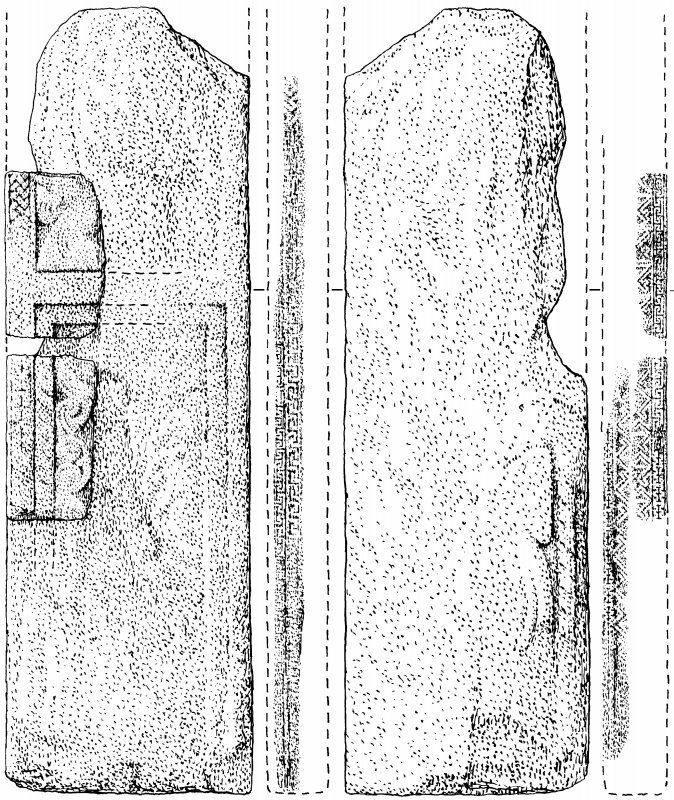 However, the recent excavation has shown that at least some of the wall has a soil/sod core, and it is clear that this vernacular construction technique is one which would have been very unlikely to be able to support the weight of a tower; it is anticipated that a future investigation will aim to discover the purpose of this building. The community excavation has allowed the condition of the remains to be assessed. The nave wall and abutting ‘tower’ wall were structurally very stable. However, water penetration of the walls, caused by overlying silty/clay soil and rubble debris has, and is clearly still having, a detrimental effect upon the survival of mortar and the dressed white sandstone drip course. The human (both articulated and disarticulated) and animal bone encountered was found to be in a moderate to good state of preservation. the N nave wall near to the current graveyard wall has been wholly robbed out. However, it was amongst all the small rubble back fill of this trench that a carved sandstone dogtooth moulding that would have adorned perhaps a window or door was recovered and then another was found in an old spoil heap that was being excavated in the hope of just such a find. Further samples of mortar for radiocarbon dating and analysis were taken from the nave and tower walls. Small samples of sandstone were also taken from the nave for specialist analysis. Further assessment of the condition of preservation of the remains was also made.